Fasteners include hooks, nylon ties, straps, and chains for affixing tags to equipment and machinery. Reinforce holes to prevent tags from tearing with these grommets. 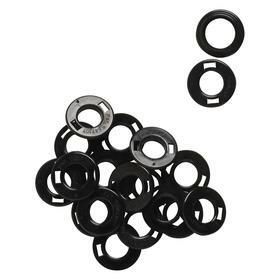 Reinforce tag holes to prevent them from chafing or ripping with these metal grommets.